In de Blob 2: The Underground, Comrade Black is back and so is his war on color. Disguised as Papa Blanc, Comrade Black rigs the city's election in order to win and take control of Prisma City with his brainwashing new cult. 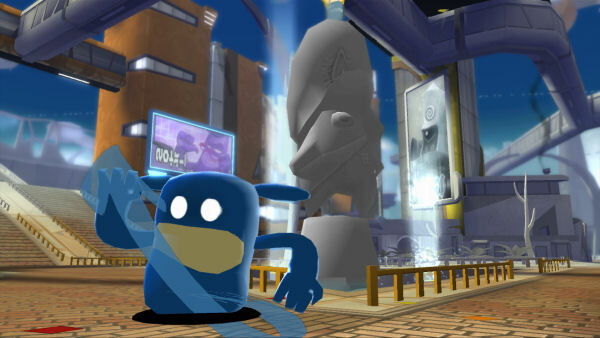 That is, until de Blob bounces back in full color-spreading force with his revolution to restore color and life back to the city and its residents. 10/31/2014: Nordic Games today announced that it has acquired the rights to de Blob and will be developing new games in the franchise.